Ncell has brought new all-time affordable data packs to its customers. Ncell dubs it as “Gajjab ko data pack” and has attractive offers ranging from 75 MB to 3 GB volume. Find the Ncell new data packs below. Ncell “Gajjab ko data pack” starts from Magh 21, 2075. The offer will remain valid for 90 days. Here are the packs in the Ncell Gajjab ko data pack. The higher volume of data packs like 3GB is suitable for the ones who use heavy data from their mobile data. So, the cost per MB will be low for such packs. In this case, for 3GB data pack, the cost per MB is around 15 paisa. But with the 75 MB data pack, the cost per MB is around 27 paisa. How to subscribe Ncell Gajjab ko data pack? customer need to dial *17123# and select those Gajjab packages available there. Similarly, Ncell customers can subscribe to the pack from their mobile app. For 30 days Gajjabko data packs, once the purchased volume is consumed you can browse the internet at just Rs.1 per MB (exclusive of taxes) until the validity of the packs. For other Gajjabko packs, standard Pay as you Go rate of Rs. 3 per MB (excl. taxes) will apply once the purchased volume is consumed. 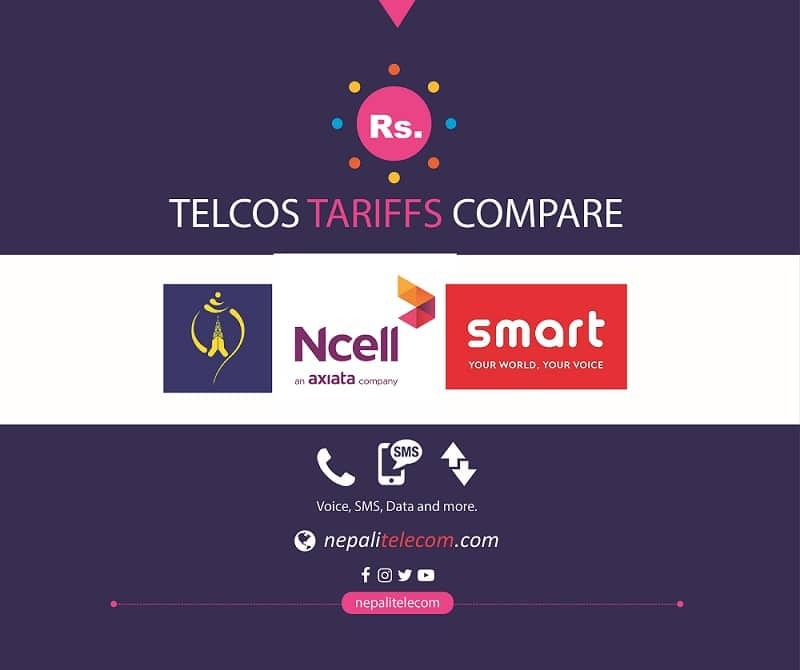 Find all the costs of Ncell services here and compare with NTC, Smart cell over there.